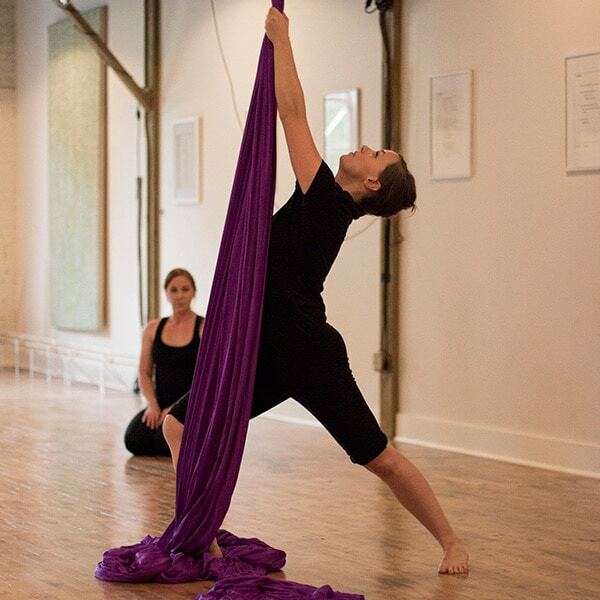 In this 1-hour introductory course, students new to aerial fabric will learn basic body awareness and technique. Fundamental vocabulary, strength, and flexibility training are covered as students move from the ground to the air! 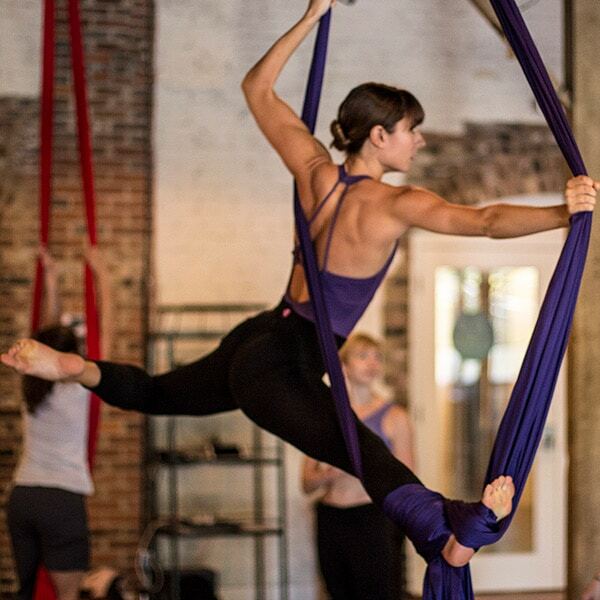 This is the perfect beginner class and a great refresher for those with some aerial experience. In this 1-hour course, students move beyond the basics – challenged to invert from the ground, execute basic skills smoothly and confidently, and begin to chain movements together into sequences. 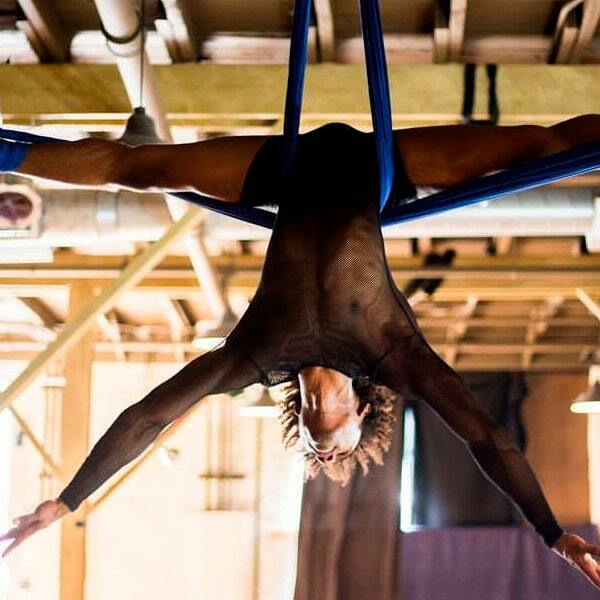 Strength-building and an added emphasis on spatial awareness make for a challenging and fulfilling aerial experience. 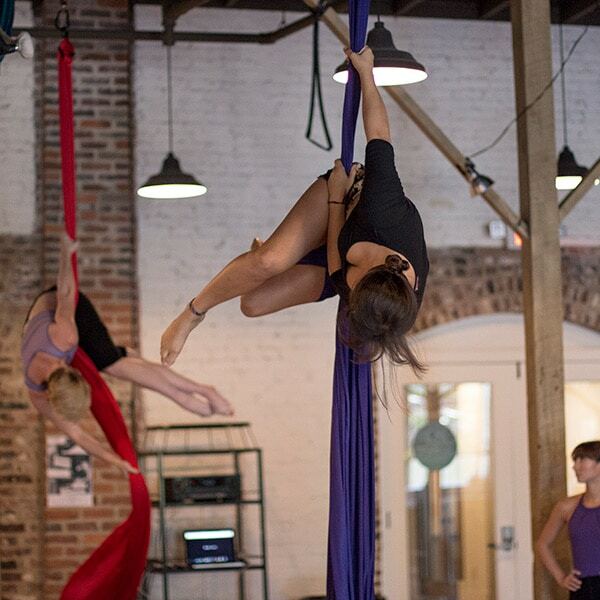 New students are required to attend Intro to Aerial for skill assessment. This 1-hour intermediate course is designed for students with a fundamental knowledge of the fabric. Participants must be able to invert in the air, as they will move to more advanced tricks, including drops. Advanced fabric theory is introduced as participants expand their understanding of the apparatus. Creativity flourishes through exploration and choreography! This is a 1.25-hour FALL company class, where advanced students are invited to train with FALL company members, work on advanced choreography, and further their performing aerial performing skills. 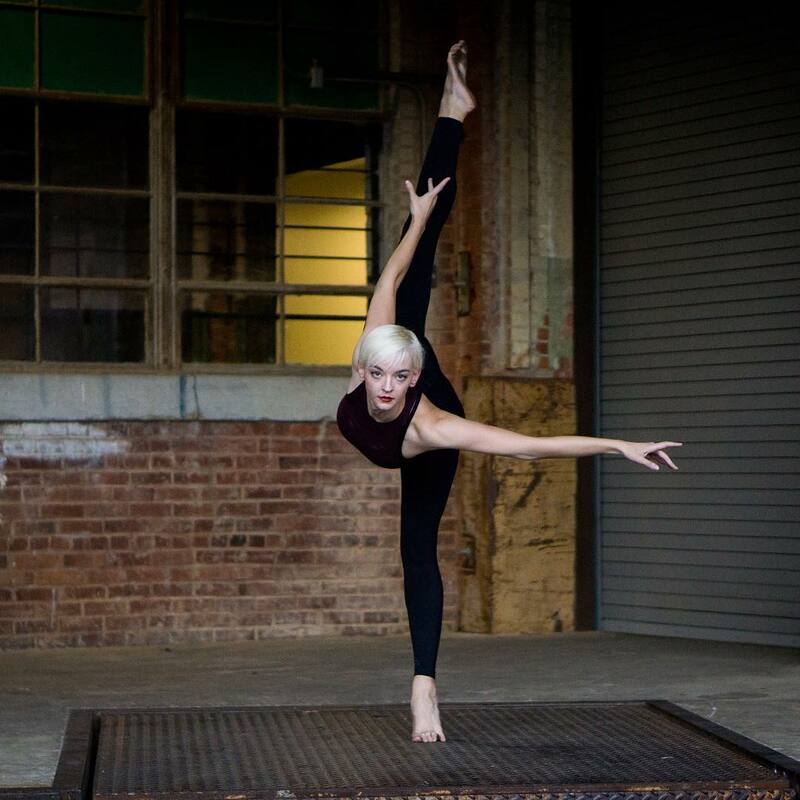 FALL is an performing arts company that blends contemporary dance with aerial. FALL is a 2017 graduate of the abrasiveMedia artist residency program. More information at www.falldance.org. This 1-hour course is open to levels 1 and up. Athletes and professional performers will benefit from a wide range of training exercises designed to increase strength, flexibility, and endurance, while experienced students will develop new skills and awaken parts of the body that are really only used when hanging from fabric. 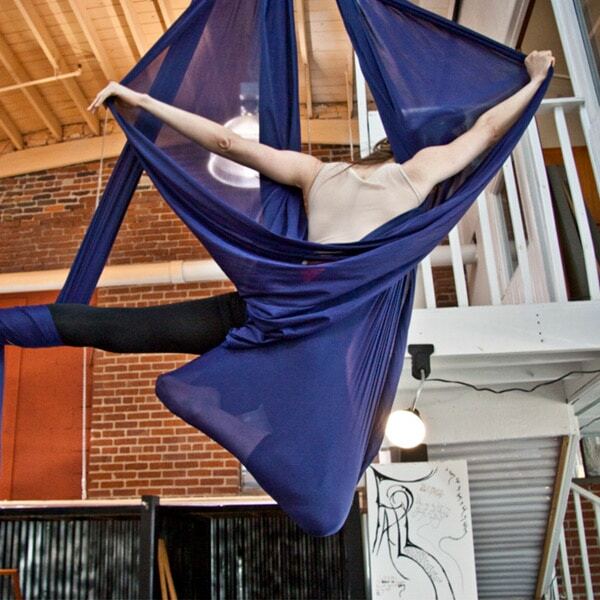 This 1-hour course is a perfect combination of lyra and aerial silks. The Silk creates a sling/hammock in a loop or U shape. Students learn to work in the open fabric, as well as the closed sling to create picture-worthy poses and beautiful hammock sequences. Taught by FALL Company Artist, Mary Beth Hill, this class will give participants a foundational knowledge of ballet technique, but with a focus on how it can complement aerial training, as well as ways to translate the lines and movement up in the air. 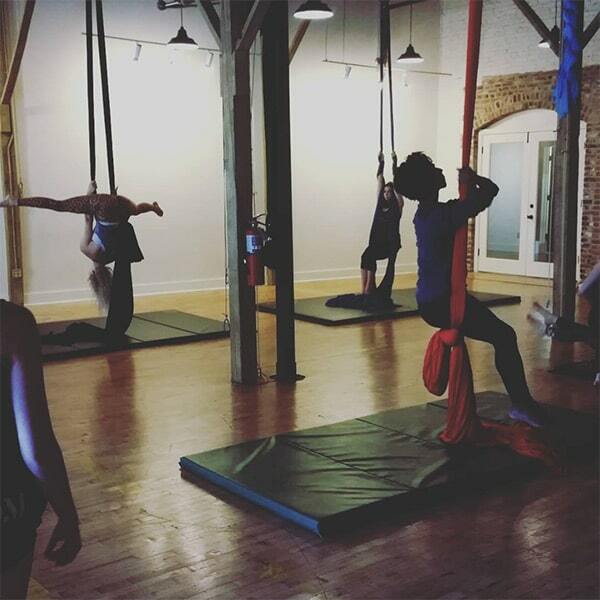 By also incorporating elements of flexibility and conditioning, this class is the perfect addition to your aerial cross-training. Open to all levels.